Nearby parks include Tomball Concordia Lutheran Stadium, Cougar Field - Tomball High School and Cougar Football Stadium - Tomball High School. 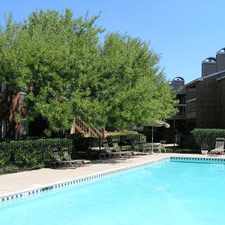 Cobble Creek Apartments has a Walk Score of 68 out of 100. This location is Somewhat Walkable so some errands can be accomplished on foot. Experience the finest living in Tomball, Texas at Cobble Creek Apartment Homes. From the moment you walk through the front door you'll feel the comfort and security that makes our residents happy to call us home.\n\nCobble Creek offers luxurious living at affordable prices. If you are looking for a 1 or 2 bedroom apartment home, Cobble Creek is sure to fit your needs. Whether you enjoy relaxing by the resort style swimming pool, exercising in the fitness center, or attending one of our community events, youll feel you are on a vacation, every day! Explore how far you can travel by car, bus, bike and foot from Cobble Creek Apartments.